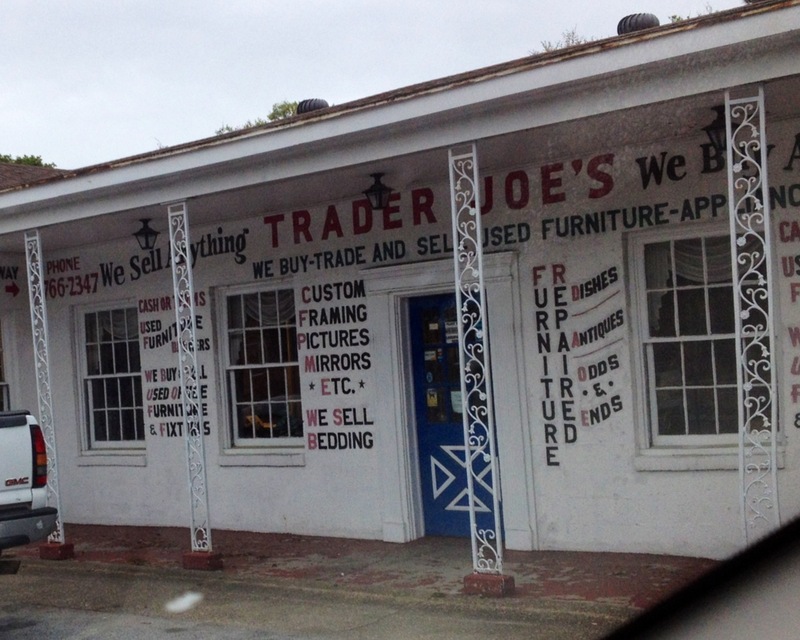 Recently, I was in South Carolina for a friend’s wedding and was introduced to a few Southern phenomena. Don’t worry– I’m not about to recount the singing fudge makers, my discovery of a Trader Joe’s impostor or our adventurous trip to pick strawberries from a plantation that ended up being “picked-over.” I’m here to share a recipe for a food that the rest of the U.S. (and world) seems to be missing out on: grits. This warm and creamy comfort food has become my new obsession. After a little research (pinterest! 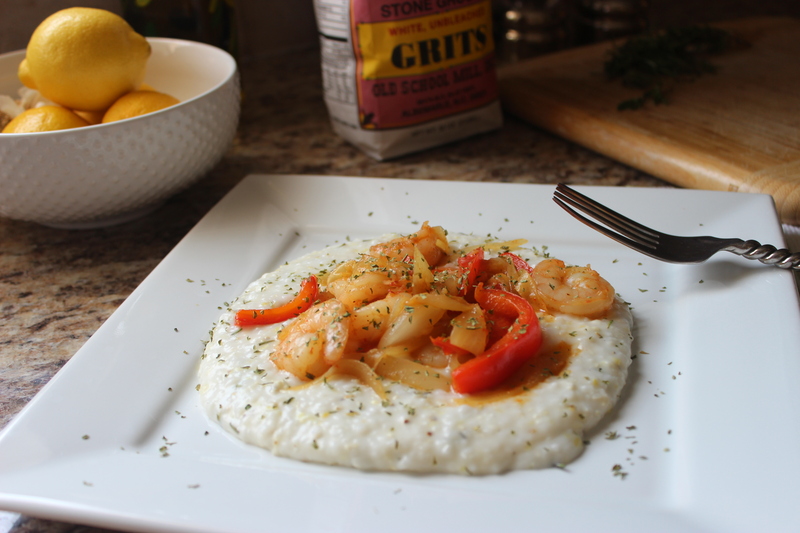 ), I realized that not only do they taste amazing, but grits go with just about anything from pork chops to (more traditionally) shrimp. So I put my roommate to work grilling up some shrimp, bell peppers and onions while I whisked and whisked and whisked some more. The crumbled feta and fragrant rosemary made for an amazing flavor, but I can’t wait to experiment with other cheeses and herbs. If you get creative with them, leave a comment. I would love to hear how they come out! 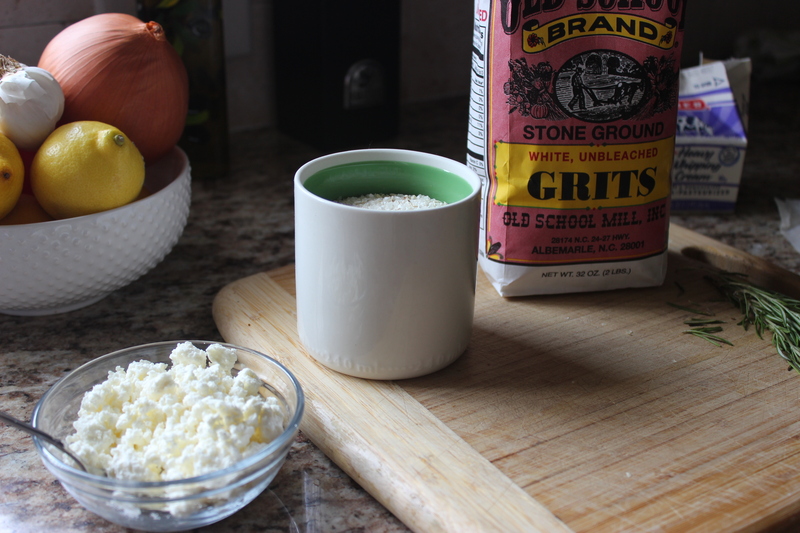 TIPS: Before you get started, take a look at this advice for making your own grits from the experts at Southern Living. Specialty grocery store? I think not. My souvenir from the trip. Some people buy key chains. 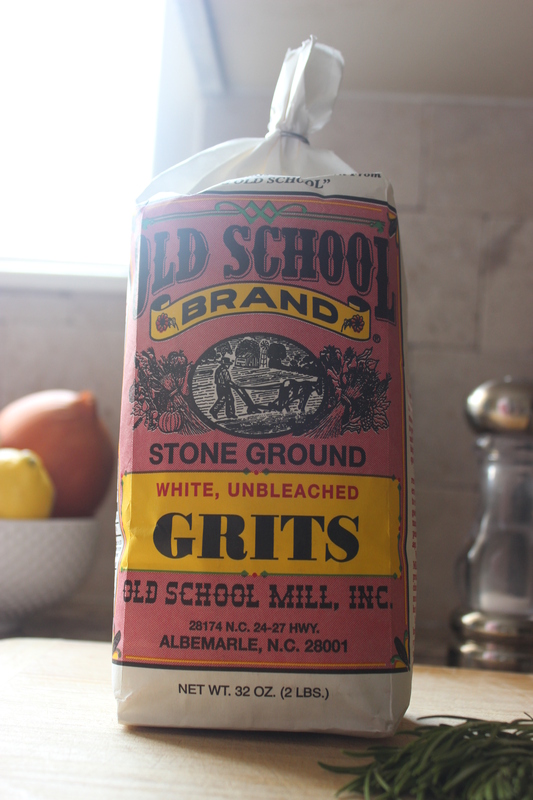 I buy a bag of grits. Melt butter in a saucepan over medium heat. Add in milk, water and salt. Bring to boil. Stir in grits and reduce heat to a simmer. 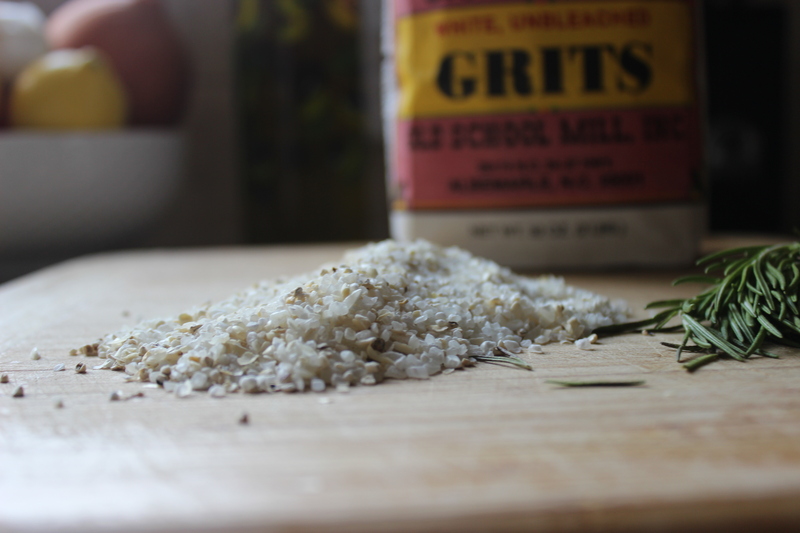 Use a whisk to stir frequently (if not constantly) as grits cook for 40-45 minutes. 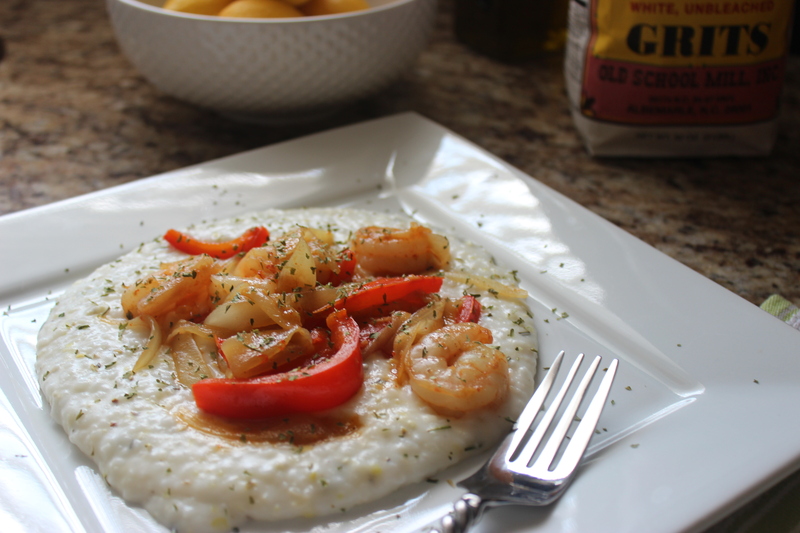 Once grits are cooked, remove from heat and stir in feta cheese, whipping cream and rosemary. It’s so interesting the way you presented it.. Thanks mama! Very sweet of you!